The Doctor has one of the nastiest rogues galleries of any hero. He’s fought everything from Vampires, to living statues, to Nazi pepperpots, to Satan himself! Still there have been a few of his enemies that have seen the error of their ways and even sought redemption. Compiled in this list are at least 10 of the Doctors major enemies who ultimately switched sides. 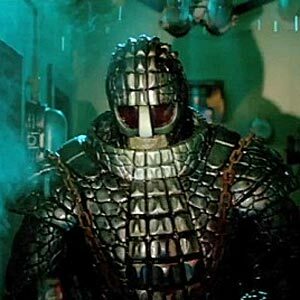 One of the most evil members of the Ice Warrior race: enemies of the Doctor who date back to the 1960’s. Skaldak seemed beyond redemption as he ruthlessly slaughtered and dissected several innocent soldiers. He even tried to destroy the planet earth by kicking off a third world war. Seemingly on a whim. Ultimately however Skaldak proved he was really a big softie underneath as he not only spared Clara, but later humanity itself too. It can be argued however that he wouldn’t have been so generous had his own people not shown up to rescue him, but still whatever the case at least he didn’t kick off world war 3, or force the 11th Doctor to slaughter everyone on the sub in order to stop him. Yes the Doctors archenemy actually makes the list. In his latest appearance as of the writing of this article, the Master not only helped the Doctor stop Rassilon’s plan to destroy every universe, but he also actually gave his life to save to save his former foe. Blasting Rassilon back in the “hell” of the Time War: the Master prevented Rassilon from destroying the Doctor completely and seemed to recant, or at least for the first time regretted all of the evil he had committed and even just who had become. The Master declared that without Rassilon’s lifetime of manipulation, he could have been something so much more “You did this to me! All of my life!”. Personally I would rank this moment as John Simm’s best ever performance in the role. It truly was the perfect ending to the character. As much as I love the Master I would actually be happy if he never appeared again as this was such a fabulous ending for him. Due to his popularity we all know that the Master is destined to reappear again at some point and chances are his reformation at the end of this story wont stick. Still for now I’m including him on this list as the last time we saw him he was performing an act of heroism and self sacrifice. Another cool thing about the Masters sacrifice in “The End of Time” is that this was how Roger Delgado’s Master was to have originally died in Jon Pertwee’s final story by sacrificing himself to save the Doctor. Sadly however Delgado’s tragic and untimely death prevented this. I have no idea if Russell T Davies, the writer of “The End of Time” wrote this in as a deliberate homage to the intended end to Delgado’s Master. Davies is a huge fan of the Pertwee era in particular, so its possible that this was an intentional nod. Either way it was great to see the Master ironically give his life for his Time Lord nemesis. It would have been the perfect end for Delgado’s Master and it was the perfect end for Simms too. Noah is a rather unfortunate individual in the classic serial “The Ark in Space” who is transformed into a Wirren, a gigantic cockroach like alien. As a Wirren, Noah attempts to slaughter the last of humanity who are kept in suspended animation. The Fourth Doctor is able to get through to him however at the end of the story and Noah sacrifices himself to save mankind in one of the classic era’s most moving moments. The true hero of “Journey’s End” Dalek Caan manipulates the Doctor and Donna’s time stream in order to ensure that both of them are able to stop the Daleks reality bomb and save every universe. Prior to this story Caan had been one of the Tenth Doctors worst enemies. As a member of the Cult of Skaro, he not only killed many innocent people, but he was also technically at least partly responsible for the Doctor losing Rose too. However he managed to change his evil ways when he stared into the time vortex and saw all of the evils the Daleks had committed throughout history, which shocked even him. I always loved Caan’s final line to Davros where he explains why he has betrayed his kind “I saw the Daleks, what we had done throughout time and space I saw the truth of us, creator and I decreed no more”. A Cyberman, one of the Doctor’s greatest enemies. To be fair Kroton himself was never specifically an enemy of the Doctor, but the Cybermen as a whole were so he still qualifies for me. 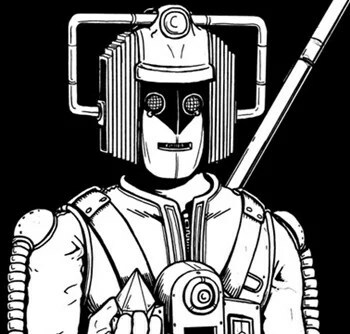 Kroton was a Cybermen who developed human emotions and helped the planet Mondarin repel a Cyberman invasion. He would later battle Sontarans before joining the Eighth Doctor and Izzy as a companion. He would then go on many adventures with them before saving every single universe from being destroyed by the Master, after which he took over as the guardian of all of creation. The character only appears in spin off material, though the Eleventh Doctor would later go on to have a Cyberman companion too. Another Cyberman, Yvonne is different however in that she was actually a villain before she became a Cyberman. 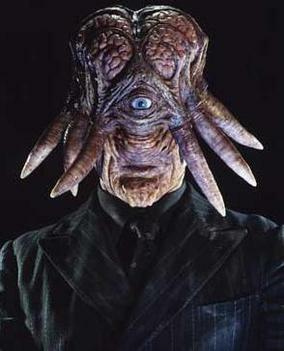 As the head of Torchwood, Yvonne captured the Doctor, fucked about with the Void which not only put two universe in danger, but allowed a whole invasion fleet of Daleks and Cybermen to emerge and slaughter millions of innocent people. However after being converted into a Cyberman, Yvonne somehow managed to retain her mind and held off a group of Cybermen by herself long enough for the Doctor and Rose to send the Dalek and Cyberman armies into the void. Ironically Yvonne is probably the first person to become a hero once they have become a Cyberman. 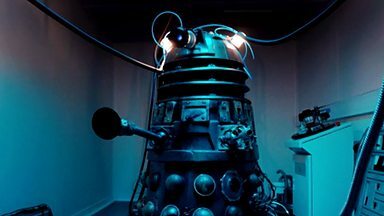 Dalek Sec was the leader of the Cult of Skaro and therefore the main villain in the two part season 2 finale Army of Ghosts/Doomsday. However in his next appearance Sec merged with a human being and subsequently developed human emotions. He became the first Dalek that the Doctor genuinely respected as a result, with the Doctor even referring to Sec as a “great man”. However Sec gets even more credity for being the first and to date only Dalek to literally get in the way of Dalek fire and sacrifice himself for the Time Lord. The Doctor also believed that Sec was the only person who could have redeemed the Daleks as well. “The only creature who could have lead you out of the darkness and you destroyed him”. Originally Lytton was an enemy of the Fifth Doctor in the story “Resurrection of the Daleks”. He was portrayed as a thoroughly ruthless individual who was perfectly willing to slaughter his own men to save his own neck. Naturally Colin Baker’s more volatile Sixth Doctor was less forgiving towards Lytton, and refused to believe Lytton when he insisted that he wasn’t working for the Cybermen. 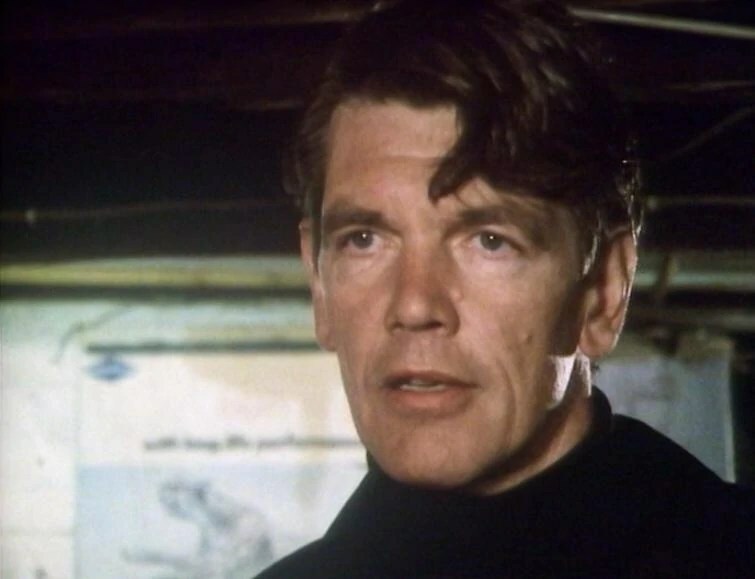 However it soon turned out Lytton was telling the truth and was even helping to Cryons to stop the Cybermen and save both earth and time itself from them. Sadly by the time the Doctor had figured this out the Cybermen had already mostly converted Lytton and though the Doctor still tried to save him, he was ultimately beaten to death by the Cybercontroller. Still Lytton’s last action at least bought the Doctor enough time to destroy the Cyber controller once and for all. You think Yvonne got it bad. I never would have thought back in the Pertwee era that I would one day watch a Sontaran and a Silurian help the Doctor defeat the Great Intelligence! The Paternoster Gang have become one of the most popular supporting characters in the history of the series. 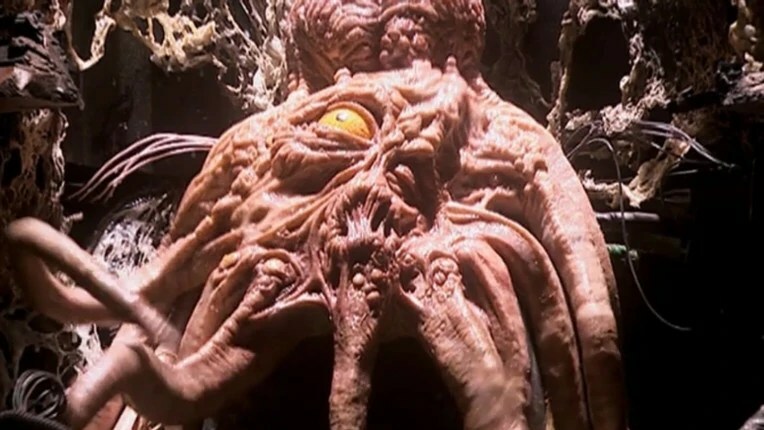 Having appeared in five episodes so far they have helped the Doctor take on a whole host of other villains including The Great Intelligence, The Headless Monks and Mr Sweet. They fall into the same category as other teams the doctor has worked with such as UNIT, The Children of Time and Jago and Litefoot, in that they are really more of a family for the Doctor who know him through multiple lives. In “Deep Breath” they were even used the same way UNIT were for Robot to help the transition from one Doctor to the next. Though again its ironic that this time the Doctors family are made up of some of his worst enemies. Yet another good guy Dalek from the latest Doctor Who episode “Into the Dalek” ironically the Daleks have more good guys here than any of the Doctors other enemies. In fact there are many more good guy Daleks than on this list. There is the one in a million Dalek, the Metaltron, Alpha, Beta and Omega and the Oswin Dalek. I could have filled the list with nothing but Daleks, (which is ironic when you consider that they are supposed to be his most evil enemies.) Rusty to me was the best attempt at doing a benevolent Dalek yet. He wasn’t simply a Dalek that had been infected with humanity, he was a Dalek that had simply learned to hate his own kind. Thus he isn’t really a good Dalek. He still has the same rage and hatred except that now it is towards the Daleks themselves rather than humanity. Ironically he learned it from the Doctor. The original ending to “Into the Dalek” was to have had Rusty die, but the fact that the writers spared him suggests to me at least that they may bring him back for future episodes. I would love to see Rusty again help the Doctor out on future mission against the Daleks or maybe even another enemy. However I hope that he is treated seriously in every one of his appearances and not turned into a comic relief like Strax. I realize a lot of people might not like the idea of the Doctor having a Dalek ally, but personally I think it could be quite an interesting to see one member of their kind wage war on them. We saw that briefly with Dalek Caan, but Rusty could take us deeper into the idea.